Like them? Mari (from Tiffany Imposter) helped me do them this morning! 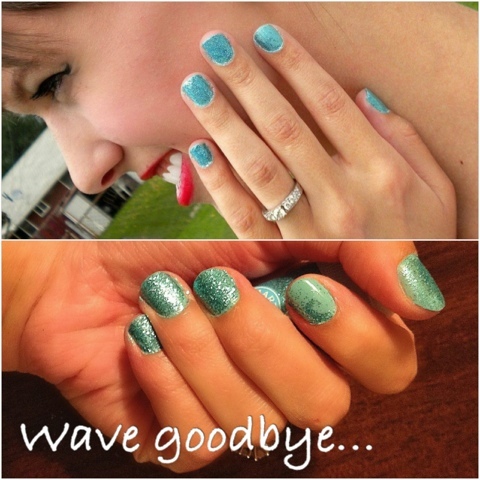 Nail polish, glitter, tape cut out like a wave, and tally ho! Tutorial for nail designs coming soon! Cute! I'm looking forward to seeing the tutorial!